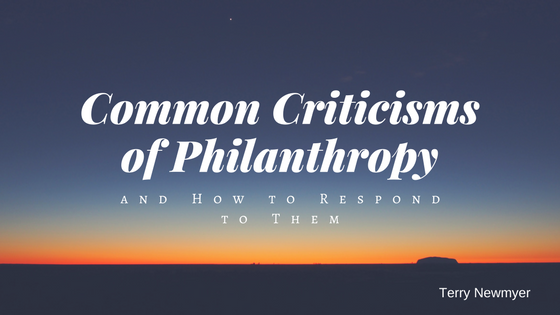 An exploration of the common list of negative viewpoints regarding philanthropy and how to respond to them. Terry Newmyer, Managing Director of Strategies Now, Inc.
Terry Newmyer serves as the Managing Director of Strategies Now, Inc., where he delivers marketing strategies to achieve clients' projected aspirations for their vision. With years of hands-on experience in product development, strategic development, market reach, and physician recruitments and relations, Terry is well-equipped to effectively deliver marketing strategies to clients and help their trajectory toward success. The Philanthropic side of Crazy Rich Asians.